The RoqStop was a product born of necessity. 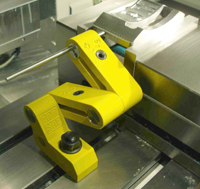 Originally developed in-house at Quartic Engineering Ltd, it has been refined by direct experience with CNC production set ups, and addresses the problem of reducing machine set up downtime to an absolute minimum. Embodied in the design are the principals I bring to any project. The RoqStop is direct in its functional ability but remains easy to manufacture, mainly by taking full advantage of aluminium extrusions. It is easy to use and attractive to the eye, even for those who don't immediately understand its industrial purpose. 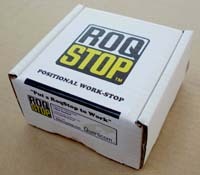 The RoqStop is made entirely in New Zealand. Due to a robust set of manufacturing drawings, it could be produced by any capable manufacturer. This extends from the making of individual components, through to assembly and packaging. The research and development on the RoqStop is still very active, with model updates in the wings, and export markets to explore. The lessons learned from this project remain fresh in my mind, allowing me to better anticipate and head off potential development hurdles as I interact with clients.